A Michigan art dealer was sentenced Thursday to more than three years in prison for what prosecutors said was an extensive scheme to sell fake works purportedly by renowned artists, including Pablo Picasso and Willem de Kooning. 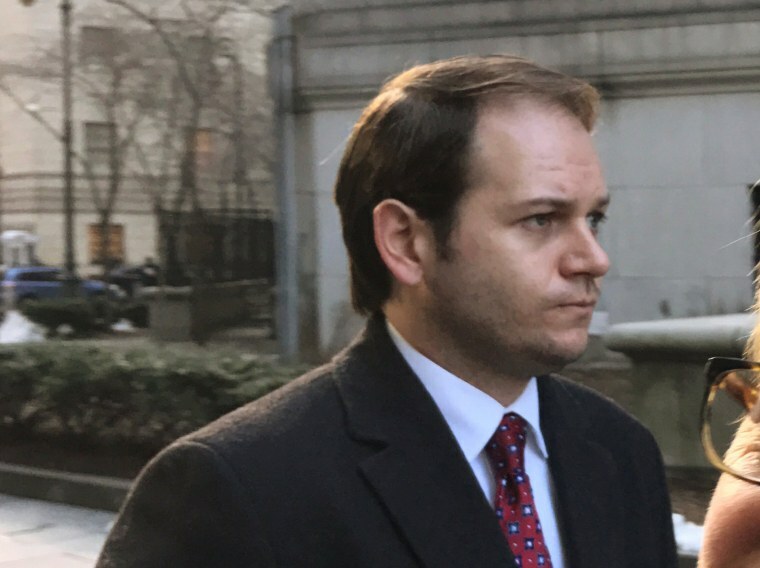 Eric Spoutz, who must also forfeit the $1.45 million he made from the scheme and pay $154,100 in restitution, was sentenced in New York by U.S. District Judge Lewis Kaplan after he pleaded guilty in June to one count of wire fraud. Kaplan said a 41-month prison term was necessary given the serious and long-running nature of Spoutz's fraud and to ensure that he was prevented from engaging in similar conduct. "I think you've been leading a fraudulent life for a very long time," Kaplan told Spoutz. The Mount Clemens, Michigan, man apologized in court for his crimes, saying he had "betrayed the trust of my chosen field, my clients and my colleagues." Prosecutors said that for more than a decade, Spoutz, 33, fooled victims into buying forgeries of works by famed 20th-century artists, including Picasso, de Kooning, Marc Chagall and Joan Mitchell. "This was a career that was founded on fraud," Assistant U.S. Attorney Andrew Adams said in court. Spoutz began selling forgeries sometime before 2005, when a website accused him of offering forged artwork on eBay, forcing him to adopt a series of aliases, including "Robert Chad Smith" and "John Goodman," to continue the fraud, prosecutors said. Prosecutors said Spoutz at that point began to focus on works by Mitchell and de Kooning. They said he labeled his forgeries as "attributed to" those artists and falsified documentation to convince his victims of the paintings' origins. His explanations of where the artwork came from varied, according to court papers. In 2006, Spoutz said he bought the works from "a couple different private collections" and marketed them with "no assurance of authenticity." That claim was in an article calling Spoutz an "Art-World Powerbroker," which he himself submitted to a press release service after the 2005 forgery accusations. To a Connecticut auction house in 2010 to which he provided two Mitchell pastel works on consignment, Spoutz — calling himself "Robert Smith" — claimed that he had inherited them from someone who died in 1976, according to charging documents. But that person actually bequeathed his entire art collection to Dartmouth College, the court papers said.